Let the origami whale stand on the ground. 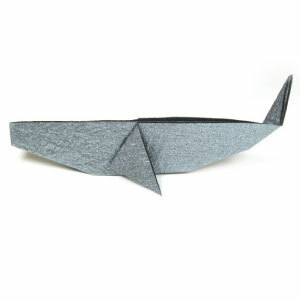 You have just completed making a traditional origami whale. Now, you have completed making traditional origami whale.